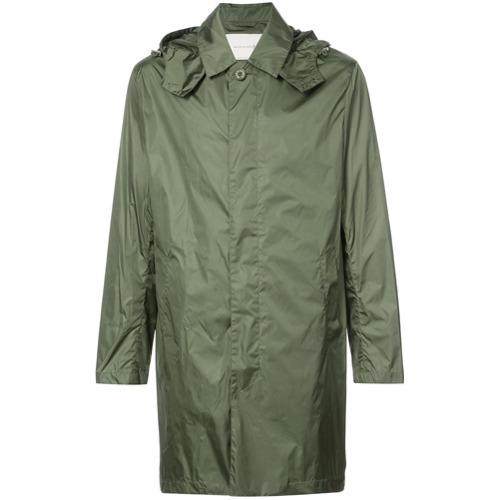 If you're scouting for a casual yet on-trend getup, opt for a MACKINTOSH military rain coat and navy jeans. These items are very comfortable and look great when paired together. You could perhaps get a little creative when it comes to footwear and elevate your getup with dark brown suede desert boots. 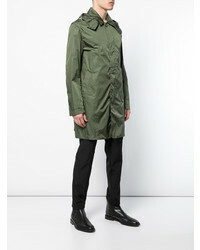 Opt for a MACKINTOSH Military Rain Coat from farfetch.com and a dark brown wool suit for a sharp, fashionable look. Add a sportier feel to your ensemble with tobacco suede desert boots. 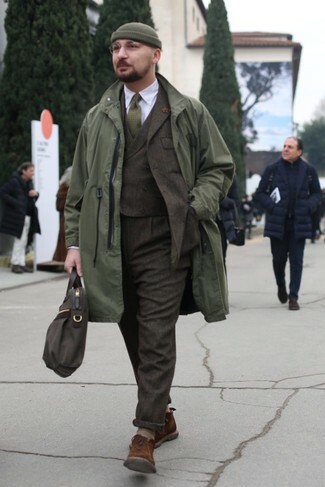 If you're on a mission for a casual yet on-trend ensemble, consider pairing an olive raincoat with brown chinos. Both pieces are totally comfortable and will look great together. Rocking a pair of black leather casual boots is an easy way to add extra flair to your getup. 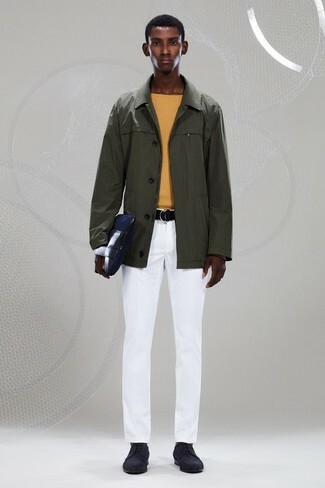 If you're on the lookout for a casual yet dapper outfit, team a MACKINTOSH military rain coat with white chinos. Both pieces are totally comfortable and will look great together. Channel your inner Ryan Gosling and opt for a pair of black suede derby shoes to class up your outfit. 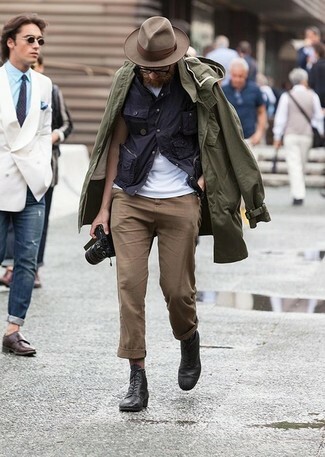 If you're scouting for a casual yet seriously stylish look, consider pairing an olive raincoat with navy chinos. Both pieces are totally comfortable and will look great together. Mix things up by wearing olive camouflage high top sneakers. 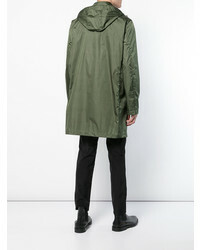 If you're in search of a casual yet sharp ensemble, wear a MACKINTOSH military rain coat with navy jeans. Both garments are totally comfortable and will look great together. Channel your inner Ryan Gosling and grab a pair of dark brown suede tassel loafers to class up your ensemble. 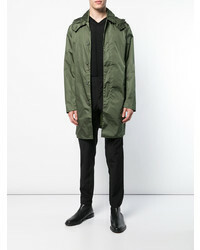 For a nothing less than incredibly stylish look, make a MACKINTOSH military rain coat from farfetch.com and a dark brown wool three piece suit your outfit choice. To bring out the fun side of you, round off your ensemble with brown suede desert boots. 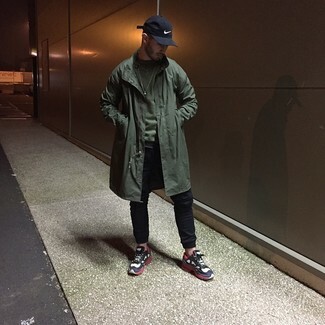 If you're all about comfort dressing when it comes to fashion, you'll love this on-trend pairing of an olive raincoat and black sweatpants. For something more on the daring side to complete this getup, choose a pair of white and red and navy athletic shoes. 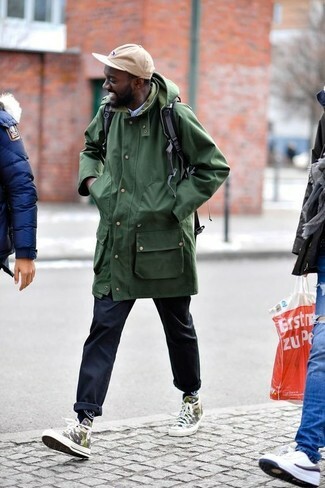 If you're in search of a casual yet seriously stylish look, rock a MACKINTOSH military rain coat with brown corduroy chinos. 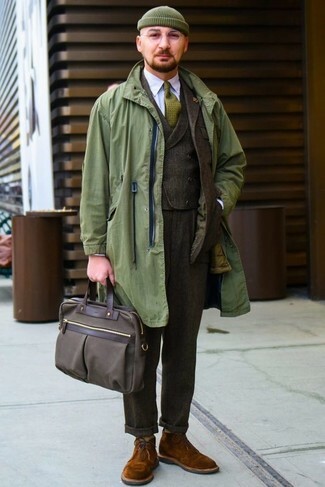 Both garments are super comfortable and look great when paired together. 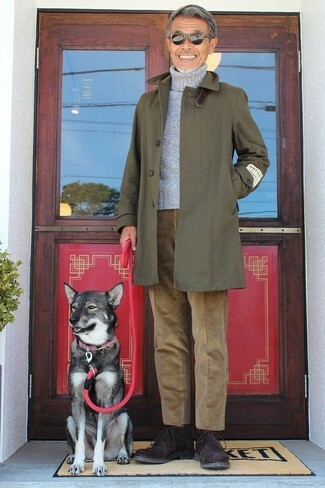 For footwear, go for a pair of dark brown suede desert boots.